Karen Blixen (1885-1962), or as she is sometimes better known internationally, Isak Dinesen, considered one of Denmark’s most significant 20th century writers, was born in Rungstedlund, where she lived most of her life before and after her years in Africa. 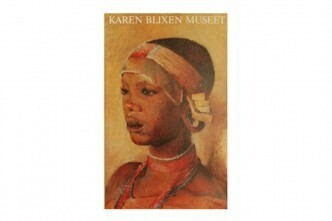 From 1914 to 1931, Karen Blixen ran a coffee plantation in the outskirts of Nairobi, Kenya. Among her best known literary works are the novel Out of Africa, describing this important period of her life, and the short story Babette’s Feast, both of which were turned into Oscar-winning films. The museum occupies the rooms where Karen Blixen lived, and it also houses a gallery featuring Karen Blixen’s drawings and paintings, a documentary exhibit on her life and work, a library, a film screening room, a café, a museum shop, and an auditorium used for lectures and special exhibitions. The Karen Blixen Museum is located directly by the Øresund Sound in Rungstedlund, an enchanting park and bird sanctuary north of Copenhagen. Come and visit!